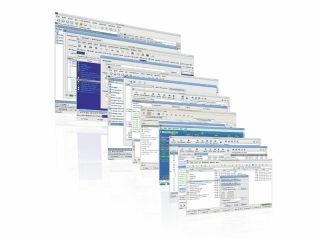 Depending on when you got started with computers, you've probably used an orthodox file manager. They're zippy, they're often favoured by those who are more comfortable on the command line, and enable you to do more via keyboards than some can do with a mouse. The interface is made up of two panels, which you can switch between with the Tab key. Norton Commander inspired a whole bunch of orthodox file managers, many of which are still actively developed today. Anyone who started with Linux in the 90s will have used Midnight Commander. But does it make sense to use it or any of its brethren in the age of multi-core desktops? The answer to that question is a most definite yes. In the 90s the Linux GUI was a far cry from the present-day Compiz-laced bells and-whistles graphical interfaces and there was no Konqueror and Nautilus. But you didn't use an orthodox file manager just because it was lightweight. You used it because it worked, and with a couple of keystrokes could compress a file, generate an MD5, and copy it across the galaxy. The modern day OFMs build on that, and can do a lot more. They can still be used with only minimal mouse input, thanks to their extensive keyboard shortcuts. And just because you use them with a keyboard, doesn't mean they all run from the console. And you can easily spot an OFM, since many honour their lineage by including the word 'Commander' somewhere in their name. Ten-hut! Krusader - Kruise for KDE users, but what about the rest of us? If you didn't pick this up from the name, you haven't been using Linux long enough. Krusader is an OFM designed for KDE. Krusader will work with some third-party apps, but it insists on quite a bit of KDE-specific programs, which will run without issues on your Gnome box. KRename equips Krusader with a bulk rename facility; KDiff, or Kompare, will compare files; KGPG enables you to encrypt and decrypt files; and you can email them with KEmail. The KIO slaves let you browse compressed archives and files over Samba, and NFS shares as well as FTP and SSH. You can synchronise directories over the network, or browse a remote (or local) directory in sync-mode, which keeps an eye on the changes you make to a directory in one pane and replicates them on the other pane automatically. Krusader can open multiple tabs on either pane. If you start it from the command line you can give it a commaseparated list of directories, which it opens in tabs on the specified pane. It also uses KDE's KParts component framework, which is similar to Gnome's Bonobo, to embed external clients into a Krusader window itself. For example, if you open an ODF document with Krusader it will invoke KOffice and display the document in a window within itself. One of the best bits about Krusader is its ActionMan tool. It helps you set up, and manage custom user actions, which can then be performed on the files in the panes. For example, you can set up a user action to add an OGG file into the music player's playlist, or pack a bunch of files into an ISO, or copy the selected files into the clipboard, or edit a file with superuser permissions, or just display the uptime. You can export and import user actions, and there's a whole forum on the Krusader website dedicated to ActionMan where users share their custom user actions. When copying a file locally, Krusader will not alter its original attributes (user, group, timestamp). It can compare files in two directories, and depending on your action, the missing files are selected. The selection can then be copied to a particular destination or on to the clipboard and them pasted on to any place that can access the clipboard. It also has a file splitter, which can combine files as well. To verify that the split files are reassembled, you can also use Krusader to create and verify MD5, SHA1, Tiger and other checksums. Many components in Krusader are so advanced they have a name of their own. Its advanced file search, called KruSearcher can search for files inside archives based on their modification date and even ownership and permissions. Its internal viewer/editor, KrViewer can open multiple files in tabs, can export documents as HTML, has a spellchecker and syntax highlighting for various configuration files, databases, and several scripting, and programming languages, and even display pictures. Krusader also has a front-end to the locate command, which relies on a database to hunt for files. To manage mounted file systems Krusader bundles MountMan, along with a graphical disk usage tool based on the filelight disk space analyser. Then there's BookMan for organising bookmarks of local folders and remote connections. It also tracks popular URLs and since Krusader is well integrated into KDE, the bookmark manager can let KDE's wallet handle the passwords for remote connections. Like all good OFMs, Krusader ships with its own terminal emulator with autocompletion. For the purists, the best bit is that Krusader can be controlled completely from the keyboard. Verdict: A complete replacement to the point-and-click file manager for KDE users, but a pain to setup for others. For an app that's still only halfway to its first 1.x release, EmelFM2 has a whole bundle of useful features. It works on anything that can run GTK+2, and a port is available for Nokia's Maemo platform. EmelFM2 sports a mouse-friendly user interface with lots of functionality available via the right-click context menu. The interface also has an output pane, which shows the results of commands and several buttons for most common functions such as moving, copying, renaming items, creating a symlink etc. One of the best features of EmelFM2 is its ability to trim the list of files in the panes. You can set filters to display files and directories that match a specified name, date, and even permissions criteria. To help you with the filtering, EmelFM2 lets you use wildcards (* and ?) and allows the use of multiple filters at the same time. You can also invert the effect of the filter to show all files that don't match the filters. In addition to its keyboard bindings for power users, EmelFM2 lets GUIed users drag and drop files from one pane to another. If you press the Shift key while dropping, the selection is moved, and if both Shift and Control are pressed, the selection is linked. Or just press the Alt key, and when you drop a selection a menu will prompt you for the operation you want to perform (copy/move/link/cancel). Deleted items aren't zapped off the disk, but end up in a .Trash folder, which means they can be retrieved. EmelFM2 is pretty useful for people who move huge files routinely. That's because it doesn't hold up the interface when performing a long task such as copying a bunch of files, and enables you to view and edit other files. The next great thing in EmelFM2 for power users is its output pane, which can have multiple tabs. You can select, edit and save the text via the content menu. This might sound crazy for an output dump, but that's because you don't know about the awesome power of the output pane text. Magically any text in the output pane can be executed. So if you select filename in the output pane and right-click on it, EmelFM2 will show a submenu listing operations for that particular file type. If you select a command, the context menu shows the result, and a double-click will re-execute the operation. Complement this with the built-in CLI and you've got a file manager that's aware of its roots. EmelFM2 has plugins that let you pack and unpack a selection of files into lots of compressed archives (including .tar.gz, .tar.bz2, .7z, .rar, .arj and .zoo), clone files, encrypt and decrypt them by recursively looking into directories and optionally compressing them as well. With the encryption plugin, the original file is retained, or you can choose to delete it. Then there are the plugins that enhance EmelFM2's included abilities. You get an advanced file finder that can search via MIME types, modification, and access time stamp of a file, its size, owner, and other attributes. There's also an advanced rename plugin that supports regular expressions, and a plugin to compare contents of two directories, which uses md5sum for accurate comparison. There's also a plugin that extracts the contents of a compressed archive into a temporary directory allowing you to browse the contents. When you head out, EmelFM2 can repack the archive for you, which is useful if you've made modifications. The biggest missing feature in EmelFM2 is that it doesn't have any network support. Before you moan and move on, think about this for a second. If you have a Samba or NFS share that you need to sync files with, you could just as easily mount it some place in your filesystem and EmelFM2 will see it like any other directory. Verdict: Its low dependency list and consistency across desktops makes EmelFM2 ideal for distro hoppers.